Are you looking to create a more harmonious feeling within your team? Is the keyword for your business unity? If this is a yes then why not pick our “Team Mentality” ecards for your corporate communication. 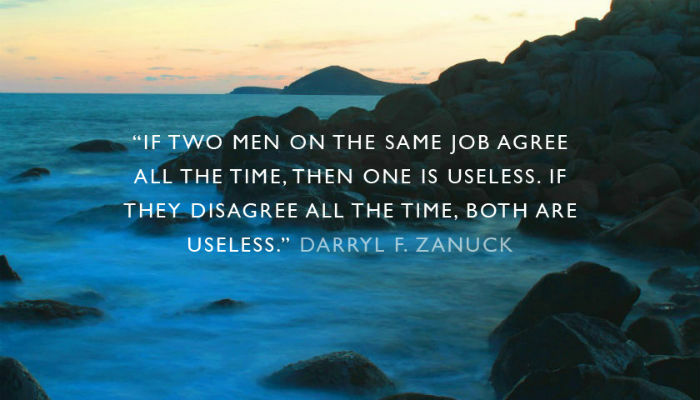 Featuring the quotation; “If two men on the same job agree all the time then one is useless. If they disagree all the time then both are useless” we really appreciate the sentiment behind these corporate ecards as well as the design too. As well as the message that is included, the imagery used on this particular e card is strong too; creating a sense of tranquility just with a simple picture. This ecard is ideal for a range of purposes; perhaps to invite people to a team event or just to send round some communication to your team about an important announcement. You can use the customisable text sections to portray your message of choice and can even place your company logo on the inner of the card to ensure that your corporate branding is visible at all times. Make sure that your team know how much you value their input into the running of your business by sending out motivational ecards to them today. Did you know that at Christmas time we plant 10 trees on behalf of every business using our corporate Christmas ecards? So please be sure to pass on the word to your marketing team.